We spent the majority of this Sunday out on the balcony, and if we hadn’t, we wouldn’t have seen this spectacle: there were two giant swarms of cranes circling right overhead for minutes. 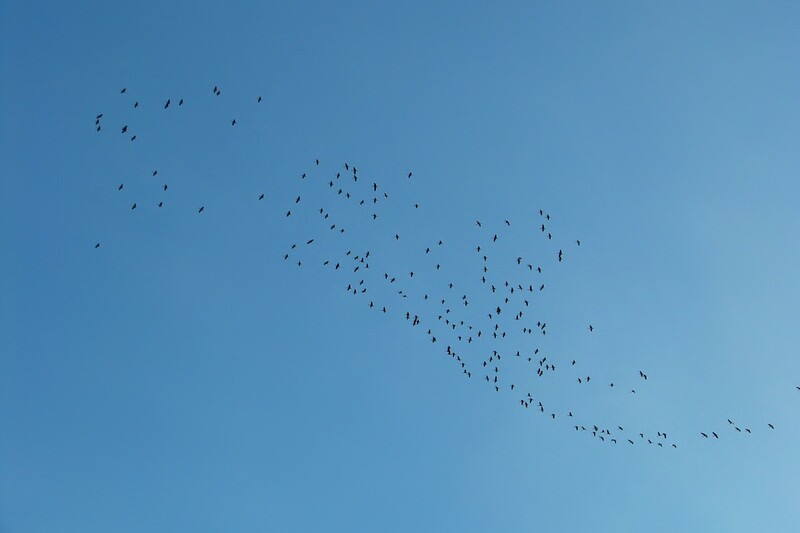 They seemed to be riding the thermals for some time before they organized themselves in a v-shape and flew off to the northeast. We’ve seen many bird swarms before, but this was the most magnificent one yet. I took many photos and it’s really difficult to choose the best – this is only a wide-angle overwiew.